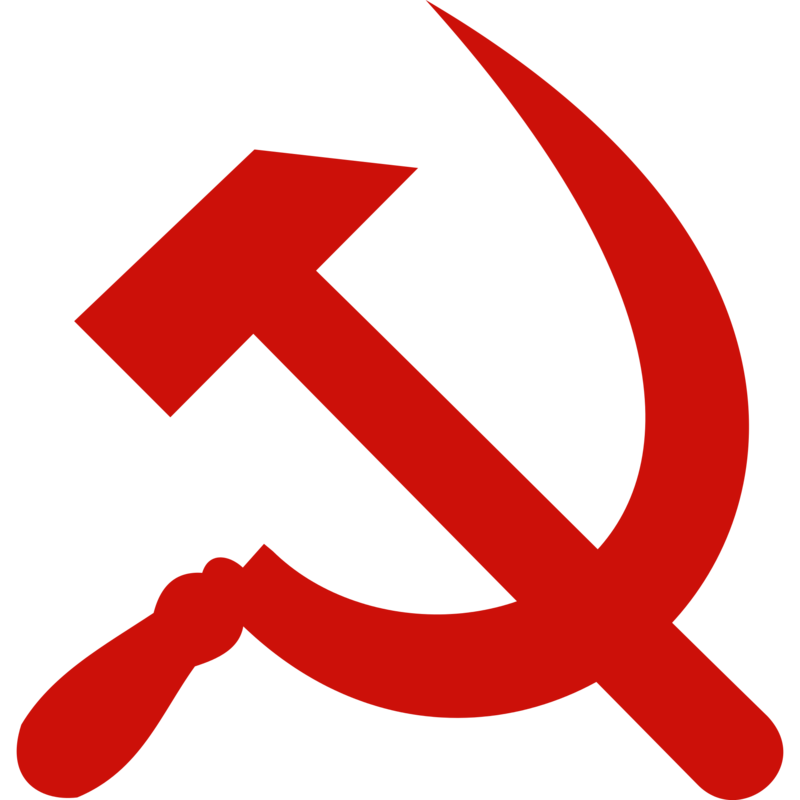 The hammer & sickle, the universal symbol of the Communist ideology, has been furiously removed from buildings, books, walls, flags, monuments and other decorations during the bloody events of the anti-Communist revolution in December 1989. 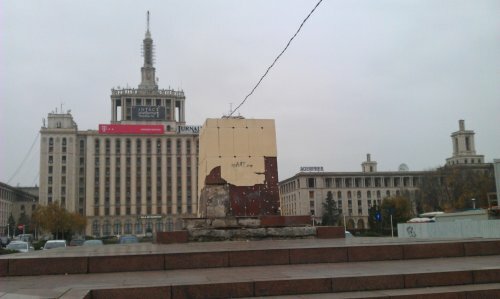 People wanted to forget the 40 years of oppression, and the symbols of Communism were the easiest they could lay their hands on and destroy. 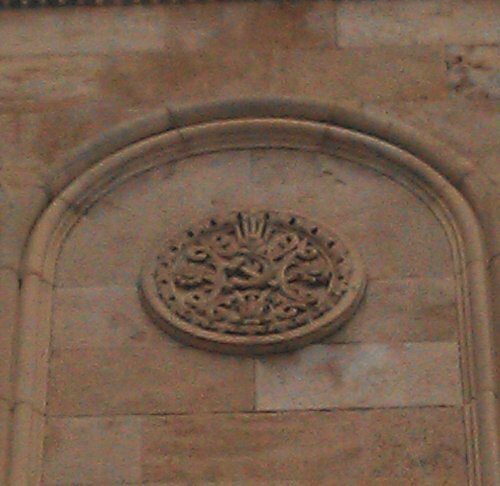 But the hammer & sickle logo still survives undisturbed on a building which has been for a long time the symbol of Soviet Romania: “The Spark House” (Romanian: “Casa Scânteii”), the headquarters of the state-owned and state-controlled printed media. 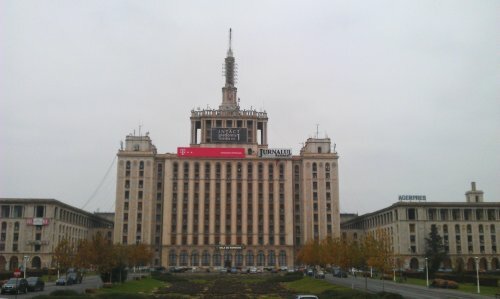 The main newspaper (and for many Romanians, the only newspaper) in Communist Romania — “Scânteia” (literally, “The Spark”) — has been written, edited, and printed in this building for almost 4 decades. 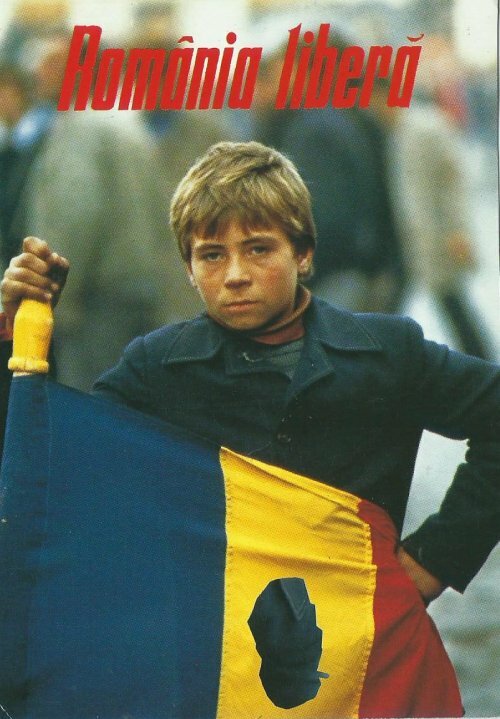 Self-proclaimed “an organization of the Central Committee of the Romanian Communist Party”, the Spark was published under the motto “Workers of the world, unite!”. 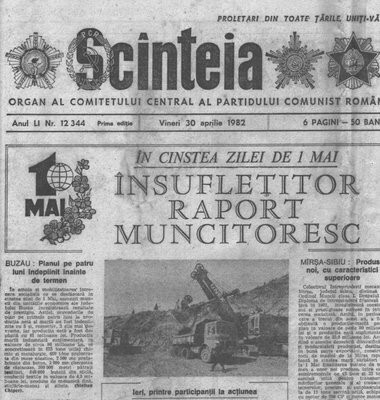 By 1948, the newly installed Communist regime was considering the construction of a large-scale printing house that would be able to handle the circulation of its official newspaper, the Spark. In the summer of 1949, architects Horia Maicu, Nicolae Badescu, Marcel Locar and Mircea Alifanti begin designing the House of the Spark. 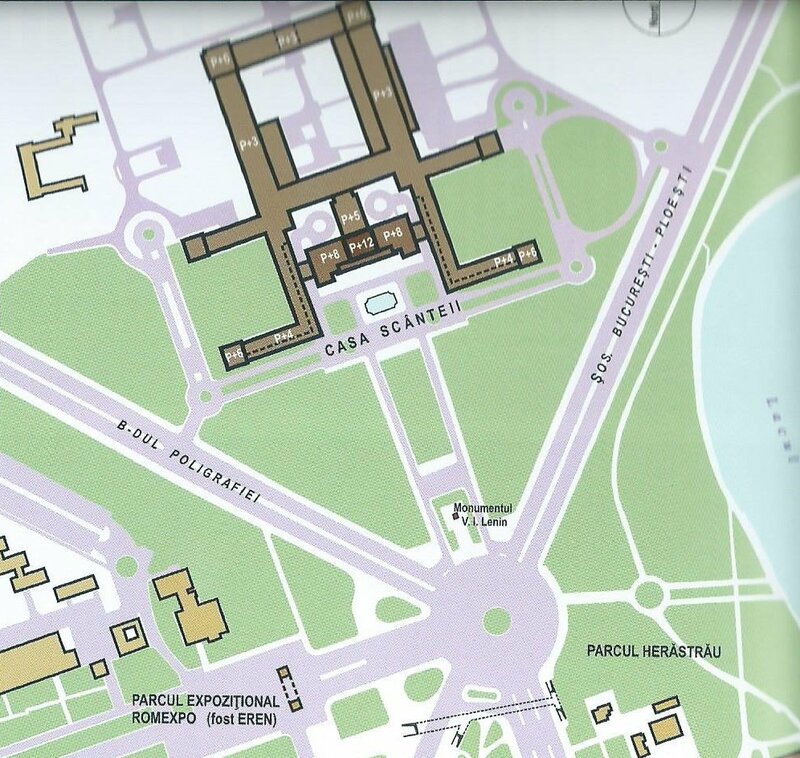 The initial designs are rejected, as they were considered “too cosmopolitan” and “too Western” for the project. 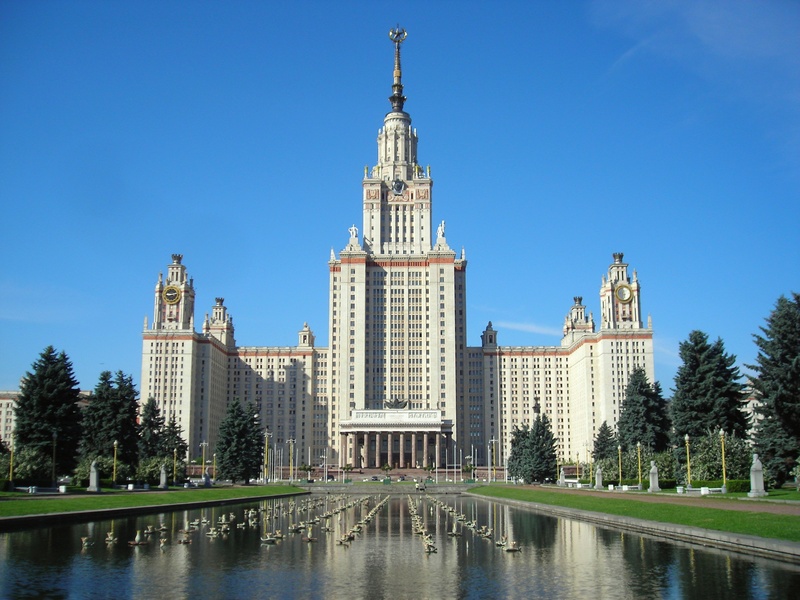 Instead, after consultations with “experts” from Moscow, the architects adopt a new design which resembles other emblematic buildings from the Soviet Bloc: the Lomonosov University in Moscow, Ukraine Hotel from Moscow or the Palace of Culture from Warsaw. 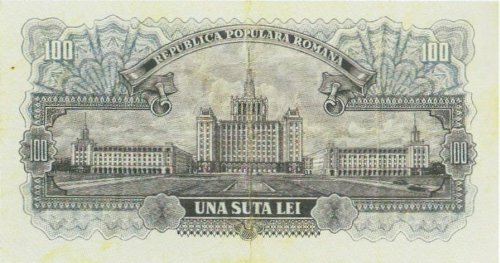 The actual construction took place between 1950-1955, a period of economic downturn, as Romania was still recovering after World War 2 and was under Soviet occupation. To make room for the Spark House, the horse race tracks had to be destroyed (horse racing was a popular pastime in interwar Romania). 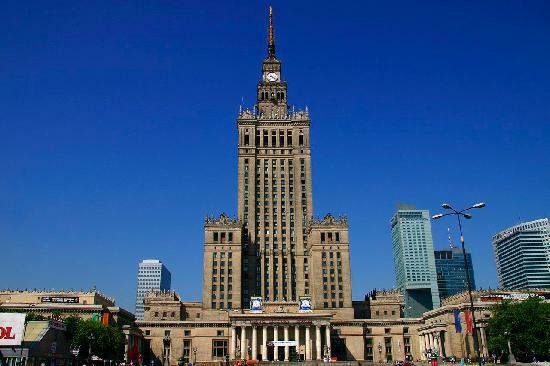 The tallest building volume stands at 100 meters high and has 12 stories, while the side volumes are only 4 stories high. 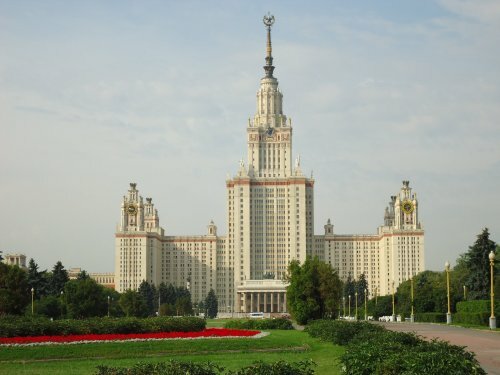 Besides the hammer & sickle, the building boasts other Communist symbols, as well: the Communist star and the bouquets of wheat-ears. 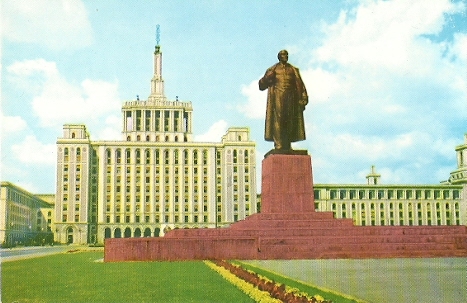 In front of the building, there used to be a statue of Lenin, which was destroyed at the anti-Communist Revolution. Rumor has it that the metal from this statue was used to rebuild the statue of King Carol I, which now stands in Revolution Square, and which has — in turn — been melted by the Communists when they came to power in order to build Lenin’s statue. Monument recycling at its best! The statue pedestal is now empty and vandalized, but there are plans to install a 2-million euro monument called “Wings”, symbolizing the hope overcoming the Communist regime. Today, the Spark House has been renamed the House of the Free Press, and is hosting a number of private media companies, including Intact Group.